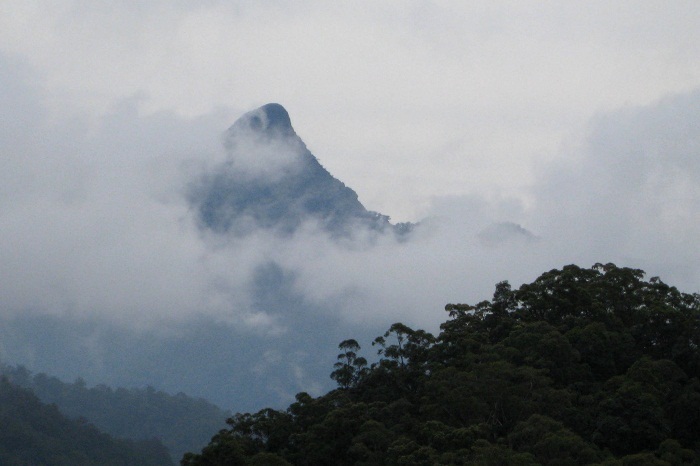 Mount Warning, which is also known by the original Aboriginal name Mount Wollumbin, is an amazingly beautiful mountain which is part of the Tweed Mountain Range in the Northern Rivers Region of New South Wales in the Commonwealth of Australia. 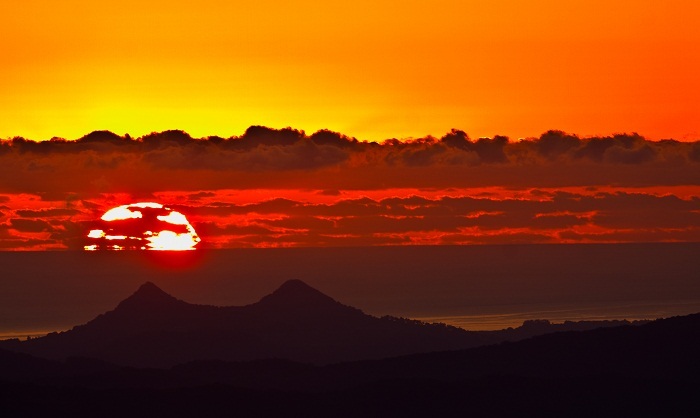 Formed in the past from a volcanic plug of the extinct Tweed Volcano, the English name for the mountain was given in May 1770 and comes from Captain James Cook, who was a British explorer, navigator, cartographer, and captain in the Royal Navy. 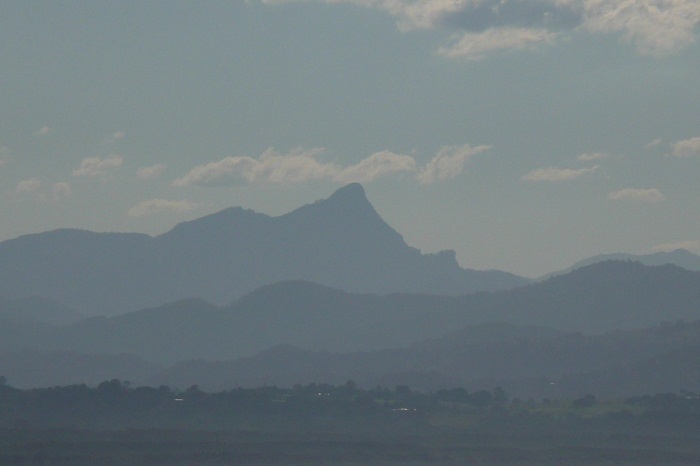 With an elevation of 1,159 meters (3,802 feet) above sea level, Mount Warning is the central volcanic remnant of the before-mentioned Tweed Volcano, which last eruption occurred some 23 million years ago. 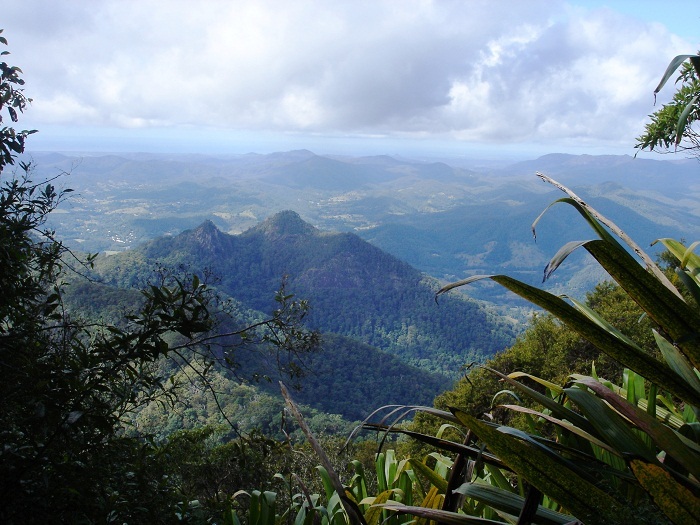 As it is a sacred mountain and a holy place to the native Aboriginal Communities, it is around a warm subtropical rainforest, Gondwana Rainforest, approximately 120 kilometers (75 miles) south of Brisbane. 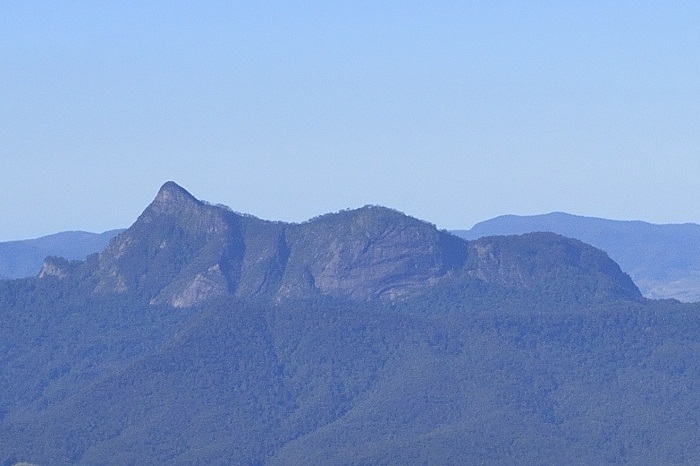 In some of the Aboriginal legends, the mountain was a giant bird which was speared by a warrior, a spear that is still visible as a point on the summit. However, there are other legends which say that fighting warriors cause the lightning and thunder which is often observed on the mountain. 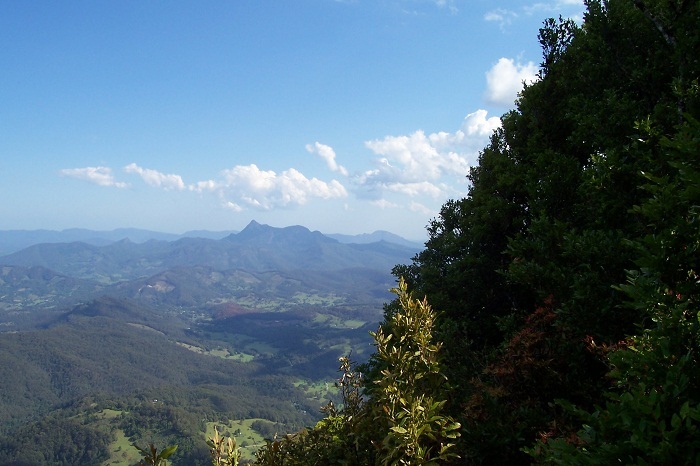 As it is a place of great importance, mostly for particular ceremonies and initiation rites to the Bundjalung people, there are some restrictions for the mountain not to be climbed, and to those planning to climb to try to avoid it. However, there are several websites that encourage climbers to hike to the top, and the National Parks and Wildlife Service of New South Wales advertise the request of the natives and has not forbidden with the park regulations hiking to the top of this magnificent mountain. Being part of the United Nations World Heritage since 1986 under the name Gondwana Rainforests of Australia, it is of a great importance for the whole country. 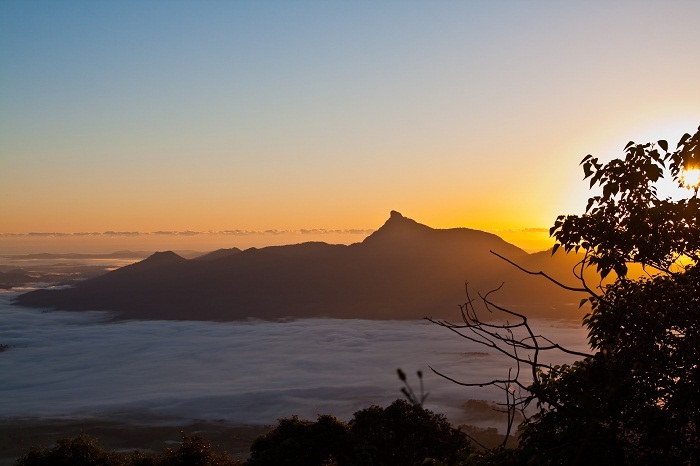 There are approximately 60,000 people per year that ascent Mount Wollumbin through the 4.4 km (2.7 mi) path that leads to the summit, from where the hikers can have a magnificent panorama of the viewing platforms which can be found at the top. 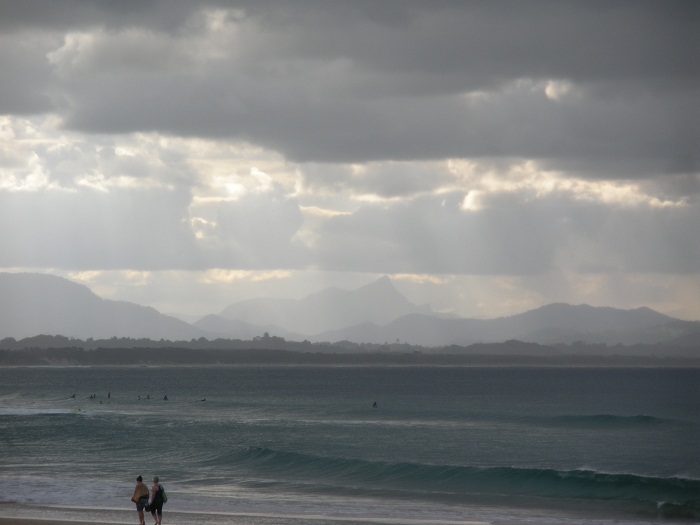 Another important feature for this mountain is that due to its close proximity to Cape Byron, the Australian continent’s most eastern point, Wollumbin is the first place in Australia to see the sun every morning. 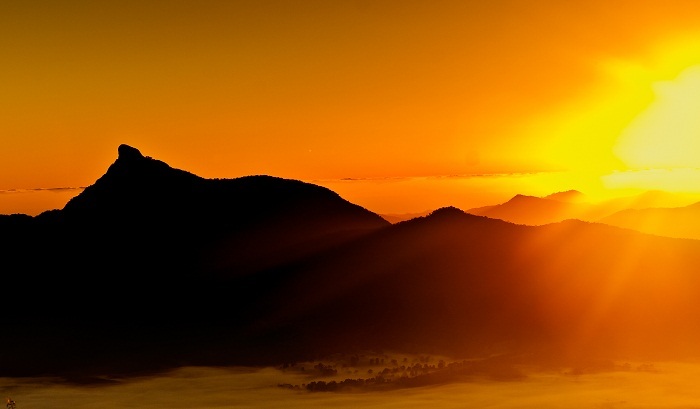 A true cultural and natural piece of treasure that the Aboriginal people of the Bundjalung Nation are highlighting, with respect of course to their heritage, those who are more adventurous are able to enjoy the must-see sunrise from the summit.